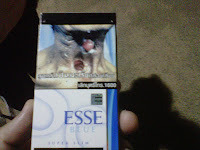 The above is the shocking image of a cigarette pack gifted to my neighbour from another acquaintance who had been on a tour to Malaysia and Thailand. The recipient of the imported cigarette gift pack was so numbstruck with the image on the cover of the pack - that he did not smoke a single cigarette! That is an example of high impact CLARITY! We are now in a picture or image led world. Facebook is less about words and more about pictures, tagged along with pertinent words. To ensure clarity is the core of marketing messaging. To create crystal clear clarity use of appropriate images and words makes the difference. Spotting this trend Laura Ries has successfully marketed the concept of incorporating VISUAL HAMMERS or a visual hammer to reinforce messages. 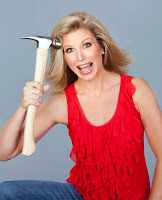 A visual hammer is key to clear brand messaging. Clarity is the bedrock of achievement. Clarity is knowing what to do next. Many a times, marketers or sales personnel, have confusion - not clarity, leading to unclear activities. And the net result is that a suitable destination is not reached. The fountainhead of clarity is the learning attitude and knowledge. If a person wants to establish an enterprise, funds alone are not the enough, clarity on the method of administration of funds to obtain desired results is the key factor. And clarity comes from team knowledge and individual wisdom. Seniors are involved in formal or informal training activities. The behaviour of a senior manager is followed by the impressionable juniors - this modeling creates new learnings in the juniors, this too is an aspect of training although it is not formal training. In all forms of training activities, the net result is clarity in the learners. The attendees should get confidence that comes through clarity in the learner. A simple aspect is knowing how to use a visual aid for effective detailing and in-clinic activity, it is also knowing the product profile in a nutshell so that talking points can be rendered with conviction to enable the recipient of the message prescribe the promoted product. The ability of a trainer or manager to generate clarity among subordinates or colleagues is the hallmark of successful managership. Clarity comes through knowledge and communication (through writing, audio, conversations, lectures, use of multimedia including graphics etc) - and presented in such a way that the message is understandable, which requires empathy. Clarity makes things happen! When there is clarity, there is automatic action in the intended direction. Thus, results are generated in line with expectancies. In today's information society, the challenge is to use information and make a sense of it all, to create clarity for furthering confidence and action. Thanks for reading this blog DEDICATED TO THE CONCEPT OF CLARITY for success, kindly do read all other blogposts, please click on older posts, recommend this blog to your acquaintances! WOW!! Your article is really very interesting This light quality is determined by a number of factors, one of which is the level of flaws, both internal and external. Thanks for this good & excellent work. you should have to continue it forever. Good information , Great post, Thanks for sharing. Great work.Thanks for sharing link about clarity. Clarity is the calculate of how clearly a diamond is able to allow light to pass through it, reflect off of it, and refract within it. This light quality is determined by a number of factors, one of which is the level of flaws, both internal and external. I would like to thank you for such informative post. Your examples are so good and real. Its so clear to understand that what happen when someone Addicted with smoke. Overall I want to say that clarity is also "the comprehensibility of clear expression."